This blog will be the first part of the tutorial on how to draw in Inkscape. A second part will follow soon. At first glance you’ll notice a lot of tools at the left side of your screen. Most of these tools are drawing tools. We won’t go through all of them, since you’ll only need to know the most important ones. 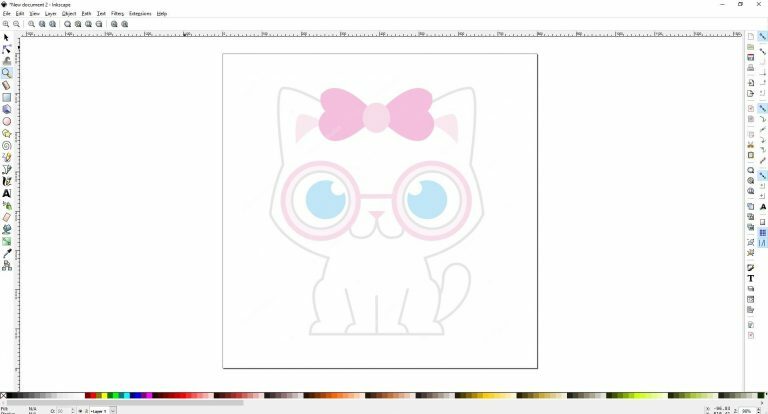 This blog is the second part of the tutorial on how to draw in Inkscape. It succeeds the first part. This blog is the third part of the tutorial on how to draw in Inkscape. It succeeds the second part. 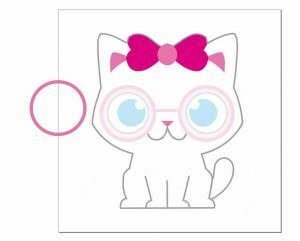 So now that we have our kitty in our file, we can actually start to draw the outline of our cat. 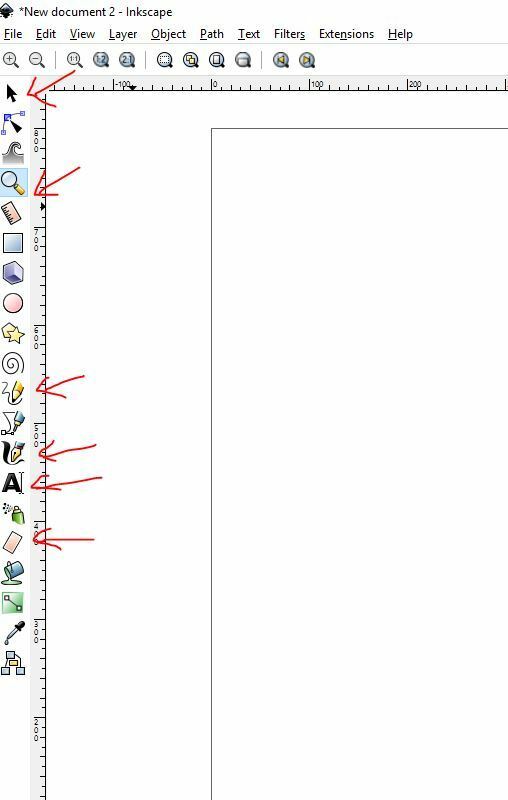 For this you’ll have to use the pencil tool. It’s really easy and simple. Just go over the lines and draw. It is important to know that you always have to start to draw the shape of the object first and the details (for example nose, paws & eyes) later on. Don’t also forget to put everything in the right color after you’re done. This blog is the fourth part of the tutorial on how to draw in Inkscape. It succeeds the third part. 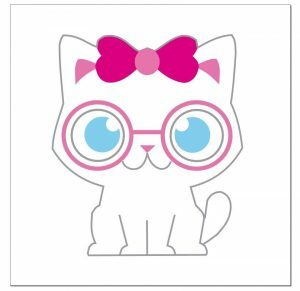 After you have drawn the entire outline and the ribbon on the top of the cat, it’s time to move on to the glasses. The pair of glasses is more tricky to draw. The first thing you need to do is to draw a circle , adjust in size until it correlates with the same size of the pair of glasses in the image, don’t fill it, but make it empty, and thicken the stroke to a preferable 15 in pixels. Don’t forget to color it pink too! the same goes for the border of the eyes. Draw a circle, don’t color the inside and give it a stroke that is thick enough.For the eyeballs however, you need to color the inside blue and make it have no stroke at all. 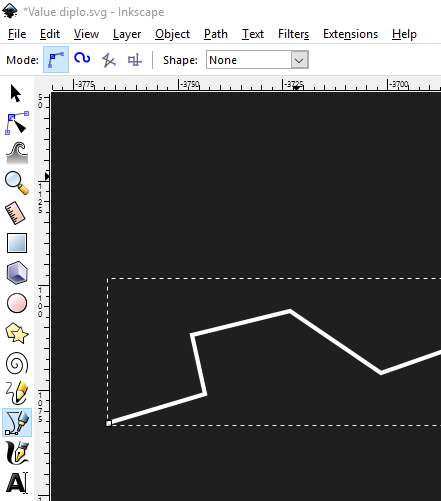 This blog is the fifth part of the tutorial on how to draw in Inkscape. It succeeds the fourth part. Congratulations! 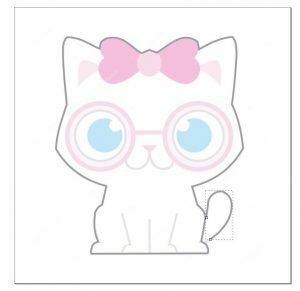 If you did everything right you now have succesfully drawn a cat in Inkscape. Don’t forget to delete the background image from your file, and save the file on your computer. Share your creation with others and let them know your experience with Inkscape. I hope you enjoyed this tutorial and that it helped you in becoming more efficient with the software. If there are any questions or comments please don’t hesitate to ask. If you want to be more interested in Inkscape, please contact me. I can teach everything about it. Also, this kitty’s name is Jeremy. Say meow to Jeremy! Mind linking your blog site here? EDIT: I cannot get the "Stroke to path" command to work. 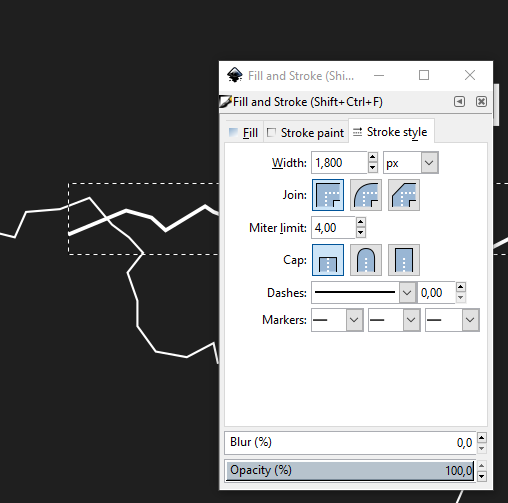 I can start with one line selected, I click the "stroke to path" button, and click the other line, and it just unselects the first. I only have one line selected, I click the other one and it just selects that one. I made them using the Bezel tool, does that matter? I tried using both the regular pointer and the node pointer. Okay turns out I was doing that right, but something is wrong with my "division" action. I select both lines and choose "division" but it just makes the interior line disappear. 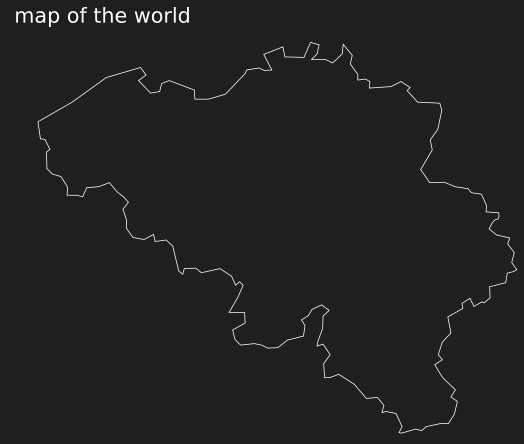 Belgian, do you live in Bavikhove? That didn't work. I made them really long and it still disappeared. Try redrawing the line completely and/or moving it to a different location, then try again. It doesn't happen very often, but occasionally if the positioning of the line and the territory line up in just the right way, it won't work no matter what you do. I can't explain how or why; just give it a shot and see if it works. 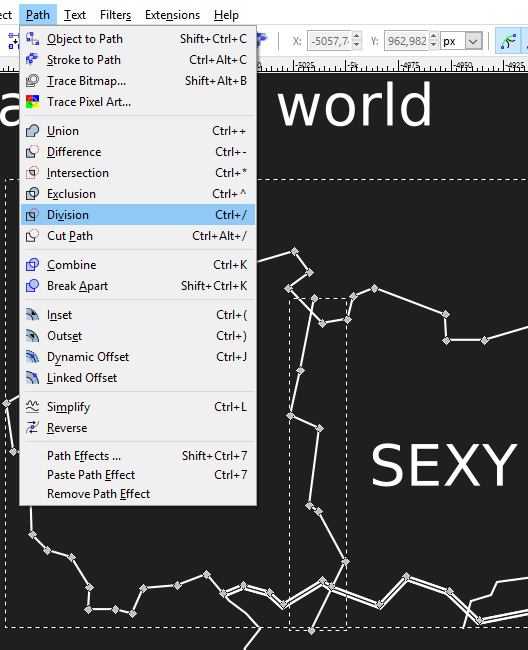 If even that doesn't work, you might want to give your SVG to an experienced mapmaker and see if they can fix it for you. It's not moving it because it doesn't work with any of the lines on the page. How would I share the file with somebody? Email works fine. Send it to someone you somewhat trust, though. Aye can I send it to you Clint? Sure, but there's no telling when I'll be able to get to it--I'll try and figure it out ASAP though.